The Lac du Bimont Dam was built as a drinking water reservoir for the region of Marseille and Aix en Provence in the event of a drought. As the region is very dry in summer it also serves to hold water to put out fires. 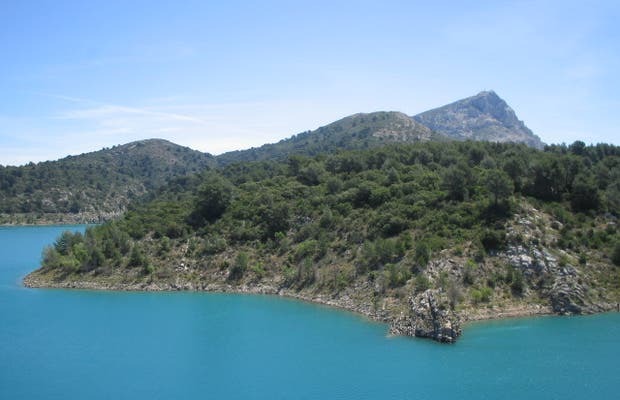 The dam is near the Sainte Victoire mountain. You can get there by bus, which leaves from the center of Aix en Provence, in front of the tourist office. The bus drops you 3 minutes walk away from the entrance to the dam. The walk around the dam is easy and you can experience a little rural Provence. Find out when the bus goes back as it is quite early. You can fish, but swimming is prohibited since it is water, and could get to tap someone else to take it! It's pretty secure and you can be fined if you bathe.